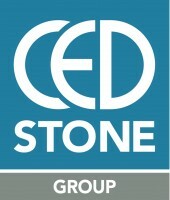 CED Stone Group are one of the UK’s leading supplier of hard landscaping products. We keep extensive stocks at our six nationwide depots, and we will arrange the manufacture of almost anything. With nearly 40 years experience, we can offer the largest range of high quality materials, advice and excellent service. Products include a wide variety of paving materials, setts, walling, cobbles, pebbles and feature stones to name a few. All of our products are sourced directly from competent and experienced producers from within the UK and a wide variety of countries around the world. We have an efficient and knowledgeable team of friendly staff with many years of experience, who are available to assist with anything from design ideas to quantifying materials and making site visits when needed. CPD workshops are available at all levels for students, garden designers, landscape architects and contractors. CPD presentations can take place at one of our nationwide depots or we can come to you.